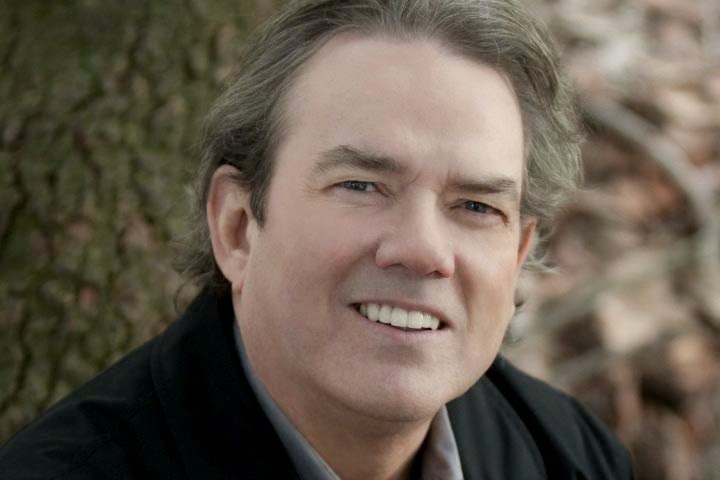 The songs of Jimmy Webb occupy an indelible place in popular music. From the ones that everybody knows — “Wichita Lineman,” “Galveston,” “By The Time I Get To Phoenix,” and “MacArthur Park” among them — to such standout performances as “Up, Up And Away” (The Fifth Dimension), “The Worst That Could Happen” (The Brooklyn Bridge), “All I Know” (Art Garfunkel), and “The Highwayman” (The Highwaymen), they've traversed genres and generations for nearly the past half century. 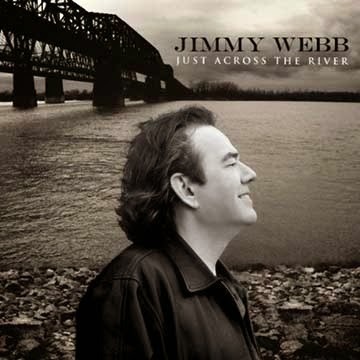 In addition to his achievements as a songwriter, Mr. Webb has maintained a respectable career as a recording artist in his own right, with albums like Letters, Suspending Disbelief, and Ten Easy Pieces revealing yet another dimension of his talent. On his latest, Just Across The River, he collaborates with guests including Billy Joel, Lucinda Williams, and Mark Knopfler while revisiting selections from his own back catalog. The only artist in history to have won GRAMMY® awards for music, lyrics, and orchestration, Mr. Webb resides on the Board of Directors for ASCAP (The American Society of Composers, Authors, and Publishers) as well as the Songwriters’ Hall of Fame. What originally drew you to the craft of songwriting? There’s always been a serious aesthetic underscoring your work. I always took it pretty seriously. I think that, first of all, you’ve got to be a fan. If you love it and if you love hearing the things that other people are doing… We learn by imitating. 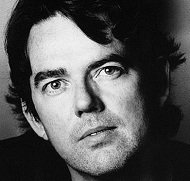 I was a great fan of John Gardner, who wrote the book The Art of Fiction. It was actually a book written for prose writers. 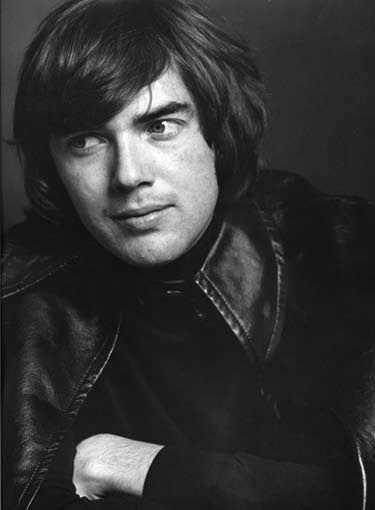 One of the great quotes in it was, “In a sense, all great writing is an imitation of great writing.” I really got my blood up as a teenager — thirteen, fourteen, fifteen years old — listening to Burt Bacharach and Hal David, some of the more semi-serious composers like Rodgers and Hart — Larry Hart was a great favorite of mine — Leiber and Stoller, Goffin and King. All of the Brill Building writers I knew intimately. I knew well. I knew their work note for note, word for word. I had a lot of piano lessons when I was a kid, but I could always play by ear. When I say “intimate,” I mean that I actually felt like I was part of those songs. I felt like I knew something about the origins of those songs… I used to listen to Teddy Randazzo’s wonderful records that he did with Little Anthony & The Imperials: “Hurts So Bad,” “Goin’ Out of My Head.” Tony Hatch, all his stuff with Petula Clark, “Downtown,” and [with] Dusty Springfield. These were all the legit writers — that’s the expression I would use anyway — and they were pure writers. They just wrote songs; they didn’t perform. Then on the other hand the performers, the singers, were not in any sense songwriters. They were just talent, not just talent in the diminutive, but they were discreetly talent as opposed to writers. That’s the sort of ancient music business that I grew up in, where the roles were very clearly defined. Then you had singer/songwriters like Woody Guthrie and then his disciples like Bob Dylan, who is clearly a singer/songwriter, but the singer/songwriter as performer didn’t really come to the fore and come into its golden age until Lennon and McCartney. At that point, it was clear that everybody would have to write and sing and perform. And so the stage was kind of set for the ‘70s and the whole singer/songwriter phenomenon. Songwriters were at first a little bit bewildered by this; then, secondly, terrified. There was a lot of adverse reaction to it, but I was young enough that I kind of caught the coattail; I caught a whiff of what was going on. When Carole King released the Tapestry album I listened to it very carefully because I knew [producer] Lou Adler. I’d done records with him for Johnny Rivers. So I was more than casually interested — she was one of my old favorites from the Brill Building — and so I was an avid listener. I listened very carefully. And my conclusion was that a new age was upon us and that you would either adapt or you would essentially be back-burnered. You would recede in importance unless you at least made the attempt to get on the train and become a singer/songwriter. I wasn’t very successful at it, but I sure as hell gave it a good try. Going back to when you first started writing songs that were getting covered by other artists, did you know at the time that you were challenging the conventions of how a pop song could sound and take shape? First of all, you had Bacharach, you had Randazzo, and you had George Martin. You had all of these people very much at the forefront of the music business between ’64 and ’67, all very active. All, even though they were in different genres as it were, bringing classical influences to bear on this teenage symbology and this sort of codified, teenage lyric that was as incomprehensible to our parents as a lot of rap music is incomprehensible to us today. I think it’s important, just in terms of musical health, to really try to listen to things that don’t particularly appeal to you maybe the first time you hear them, but it’s like taking vitamins; it’s good for you. It’s good for you to listen to things that you don’t understand. Otherwise ossification sets in and you become fossilized. You can’t be an artist and you’re no longer a part of society. You just become sidelined; you become an observer. So I think at least you have to be listening. I was asked at one point to write an article for the L.A. Times about Eminem — this has been ten years ago — because he was getting a GRAMMY® award and everybody was kind of all upset about it. My point of view was basically at that moment in time anti-Eminem because Marshall [Mathers] had written a bunch of lyrics about bashing gays and about domestic violence being okay, and some stuff that I really didn’t agree with. I didn’t particularly think that the GRAMMY® Awards should dignify some of this stuff with an award. That was my position, but I was certainly aware that he was among the best if not the best rapper ever; that even black rap artists were looking at this kid and going, “Where did this guy come from?” You have to be really stupid not to know that this guy can handle the language, and that’s something that I respect. I was a little bit up on my high horse about some of the subject matter…. I can’t say that I listen to hip/hop music around the house, but it doesn’t turn me off to hear it. It’s been interesting to me lately to listen to hip/hop artists reintroducing musical elements into rap, which I felt was inevitable, frankly. From an artistic standpoint I just felt they could only go so far in a certain direction without resorting to a little more elaborate chord structure and, at least, song fragments and pieces of melody. I see that they’re reintroducing it. I think it’ll be very surprising to see where that whole movement ends up. In fifteen to twenty years from now, I don’t know that hip/hop will be recognizable in its present form. That’s the nature of music and it’s always been the nature of music. If it’s any good, if it’s valid, then it’s moving on; it’s reshaping itself. I don’t think anybody could have predicted the advent of the four mop-top lads from Liverpool. I was playing jazz at the time and I remember some guys coming in to the rehearsal saying, “Oh man, did you see these guys on Ed Sullivan last night? They had long hair like girls!” They were all hung up on that they had hair like girls. I was just preoccupied with the score and writing something down and said, “Oh, don’t worry about that. That’s nothing of any consequence.” Then, in collaboration with George Martin, Paul [McCartney] and John [Lennon] really became seminal influences of mine because they were willing to step outside the ordinary shape of things. It was a great period of cross pollination, of advancement, really, where the Beatles definitely heard [the Beach Boys’] Pet Sounds loud and clear. They had already made a couple of very aggressive albums. Rubber Soul and Revolver were clearly proactive albums. And then here’s Pet Sounds to deal with. George also told me that the Beatles specifically went in to make an album better than Pet Sounds. That album turned out to be Sgt. Pepper, which George said may or may not have been better. He wasn’t sure that it was better. Well, it changed the world. The things they were doing musically were much more important than the things they were doing in terms of mass appeal. I don’t think a lot of their audience understood what they were doing musically. I really don’t. I just don’t. What they were doing musically may not have been that connected to what was going on as the Beatles as sociological phenomena and sexual outlet for millions and millions of very young girls. I don’t think they set out to change the world. Something like that you can’t plan. You can’t even plan to be Lady Gaga. If you planned to do it, it wouldn’t work. There were no flies on them, particularly on Paul and John, who were very, very much ready for that moment. And they brought a lot of poise to the party. They were very fortunate that they had some people like [engineer] Geoff Emerick and George Martin, in a way this whole traditional-studio establishment that was there at Abbey Road. They had a lot of technical backing there when they were trying to do some things that had simply never been done before. I mean, Geoff Emerick was constantly rewiring the console at EMI, which was definitely against the rules. It would get you fired, tampering with the console, changing the pre-amps around. The pre-amps were supposed to be set at a certain level. And a guy in a white coat would go by every morning and would check that and make sure it was in its proper place. And here’s Geoff Emerick at night, cranking them all the way up because John is not satisfied with the guitar sound. As far as your own songwriting, does hearing your songs covered by other artists yield new insights or appreciation about them to you? It definitely gives me a new pair of ears to listen with. A couple years ago James Taylor recorded “Wichita Lineman” and won the GRAMMY® for Best Male Pop Vocal performance. It was well deserved because it was just one hell of a performance. When you get something recorded by a fantasy figure like that, you definitely get to hear the song again. It’s completely outfitted in a different set of clothes. It rejuvenates the material. It revitalizes it, makes it new again in a way. Something like that has such a positive effect on someone like me at my age to hear something that I always knew was pretty good, but to have that reaffirmed by someone of James Taylor’s stature, and to have the record come out sounding not just good but truly great, it’s a little surprising. A couple of weeks went by and I didn’t hear anything. So I thought, Well, I guess they didn’t care for it, because they didn’t call with suggestions. Finally, one day I called over there. 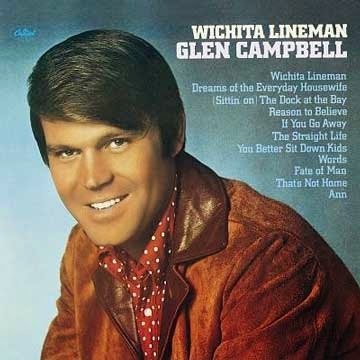 I said, “Glen, what ever happened to ‘Wichita Lineman? 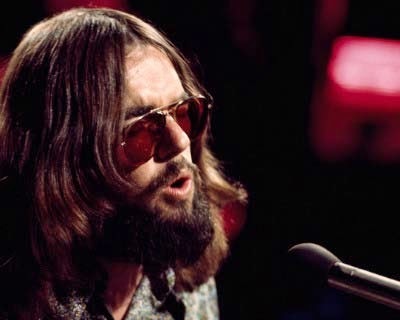 '” And he says, “Ah, ‘Wichita Lineman,’ we love that; we cut that.” I said, “Well, that song wasn’t finished.” And he said, “It is now!” There’s that big hole there which would have been my third verse. They ended up putting that big, Duane Eddy-like guitar solo, this flat-key kind of guitar solo, which is famous. Glen had good instincts, always had good instincts. Honestly, I thought it was kind of funny, the whole pre-discourse where he’s kind of riffing with the drummer. And he says, “So I opened the door.” BAM! “And I saw my woman.” BAM! “And I saw my woman with another man.” BAM BAM! I thought that was pretty funny. It was kind of a James Brown thing. I actually got up and checked the record. I said, “Wait a minute. This is supposed to be ‘By The Time I Get To Phoenix.’” [Laughs] I just went to check and, sure enough, it was cut five or whatever. So I listened on into the track for a while and finally, right at the end of the cut, he sings the song. It takes a long, long time. I loved Isaac. He was a smart guy. He was an innovator. He was a good fella. He was a good singer. I can’t say it’s my favorite version of “By The Time I Get To Phoenix,” but it beats the hell out of Telly Savalas’ version. I’m always amazed at the records that come to the surface. An especially great one is Ray Charles’ version of “I Keep It Hid.” It's a wrenching, powerful performance. I haven’t heard that in years. I remember looking forward to it. I remember it was going to really be a high point for me because this is truly one of the demigods. I had grown up… I mean, one of my favorite albums was Modern Sounds in Country & Western Music that he did with Marty Paich, which I thought was virtually as important an album as Sgt. Pepper and Pet Sounds. You know, here’s a black man singing basically redneck music with an orchestral accompaniment. All of it together was awesome. Wow! “Born To Lose” and “I Can’t Help It If I’m Still In Love With You;” there were really some heart-stoppers on there, some beautiful writing by Marty Paich, who was a mentor of mine and really one of the most generous of all these Hollywood arranging figures in terms of relating to younger people and saying, “Hey, kid, here’s how you do this. Here’s an easy way to do a horn chart.” Just giving so selflessly and giving away secrets, because every arranger had a bag of secrets. And Marty was so generous with his, [like], “You can make these strings sound more like violins.” Some of these things have fallen out of my repertoire because I just don’t remember everything that he taught me, but I soaked it up like a sponge. I’d never been trained in any of these disciplines. I was learning them literally on the spot. I was learning on the job and [was] grateful for any help that I could get. I was always embarrassed when some vacuum was discovered in what I knew because I was pretending to know a lot. And in many cases there were these little pockets of absolute vacuum where I did not have a clue.... Talk about a kid being thrown into the frying pan, and really not being ready. But when it happens, it doesn’t matter whether you are ready or not. You have to go with it. It starts running away with you like it did, I’m sure, with the Beatles. Many people have had the same feeling: “Oh, my God, I don’t know what I’m doing now. I wish somebody would tell me what’s going on.” [Laughs] I don’t regret any of it. It was exciting as hell. It’s still exciting.